We're planting 10,000 native trees. And we're putting them in spots chosen by our customers; local schools, charities, community organisations – all with green space to spare. We're sending trees to almost 600 groups who were keen to get involved. The Octopus tree team is venturing out to meet 15 of them, with the help of former Blue Peter gardener Chris Collins and Jess French, host of CBeebies' Minibeast Adventure. Keep an eye on this tree 'log'. We'll update it every time we get more trees in the ground. 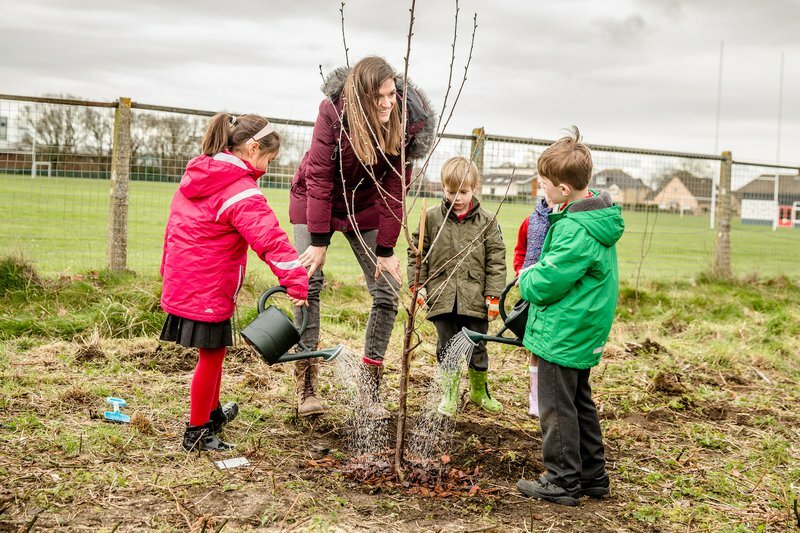 Before we get started – read up on why we're planting trees in our earlier blog, check out the awesome bespoke bundle packs these community projects are receiving, and vote for a local project to win a huge funding prize up to £8,000! Our tree planting efforts kicked off in Southampton, where Octopus sales wizard Kelly and wet-behind-the-ears tree guru Tim planted a sensory mini-woodland with Minibeast Adventures' Jess French. The school's special tree bundle is made up of aspen (with leaves that'll one day rustle in the wind so beautifully they almost seem to sing); colourful, blossoming trees like wild cherry, crabapple and rowan (with fiery red leaves); and even nice-smelling trees like juniper and lime. Next, tree whisperer Tim and mini-beast maestro Jess headed to Peterborough to plant a hedgerow of 50 native beech and hawthorn trees. We hope this day of hands-dirty fun kicks off a new forest school programme for Leighton! Today, the OG Octopus tree team – Chris Collins and Maddie from Octopus, reunited to plant trees in Barry, South Wales. 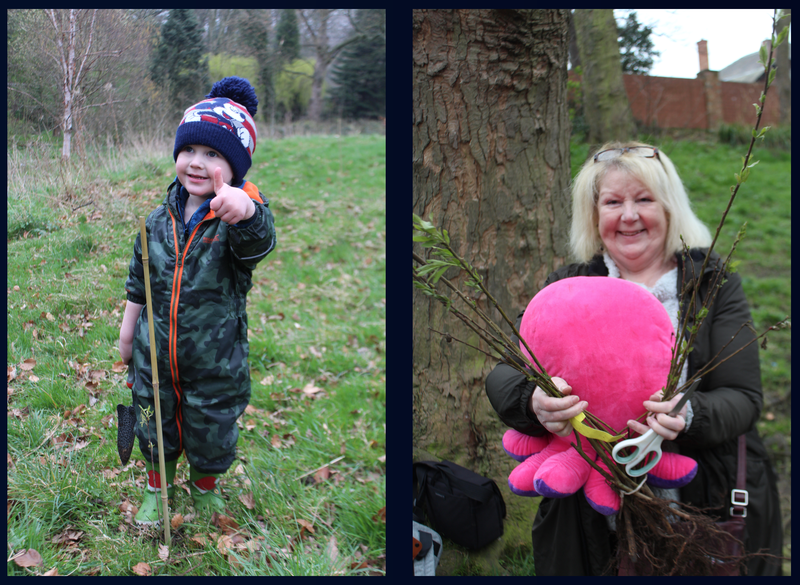 The school's new Meadow Club came out in full force to plant a new sensory woodland on the school's grounds. Eventually they hope to expand this into a hedge to help shelter the school from a nearby road! Next, the great Octopus Tree Planting show rolled into Walsall to plant a sensory garden with the Walsall Society For The Blind. Tim Troy, Octopus Energy’s very own Tree Whisperer, was the ringmaster, with the help of gardener extraordinaire and all-round good egg Chris Collins, formerly the Blue Peter gardener. We were so happy to be joined by Walsall Deputy Mayor Paul Bott, who gave us and a raft of day-centre regulars, staff and volunteers a hand while we planted. The amazing Chris Collins has carefully curated a bundle of trees that form a sensory mini-woodland – essentially, trees that can be enjoyed through a variety of senses, allowing the Centre's visually impaired members to enjoy the smell, sound, and feel of the trees. The Centre is on a main road just past the bus station in Walsall. Planting trees is absolutely crucial in urban areas full of smog-causing traffic. That’s where they can have the most impact in saving carbon from being absorbed into the atmosphere, with each tree saving on average 2kg of carbon every single year. Chris and the WSFTB team had a fantastic time digging and planting the future sensory mini-forest, with more than a slice of good-natured banter. Our fave, Chris, getting stuck in. WSFTB's regulars came along to help plant! On Friday 5 April, the great Octopus Tree-Planting Show packed up its Big Top in Walsall in the West Midlands and made its way to the Northeast. With the car fully packed with tools, mulch and compost Chris ‘Blue Peter’ Collins and I headed towards an inner-city park in Sunderland. We had a tryst arranged with the Friends of Backhouse Park. You might think it sounds like we were on our way to a jazz performance. But you’d be quite wrong. Although I do have a beard and was wearing a black polo-neck, now I come to think of it. 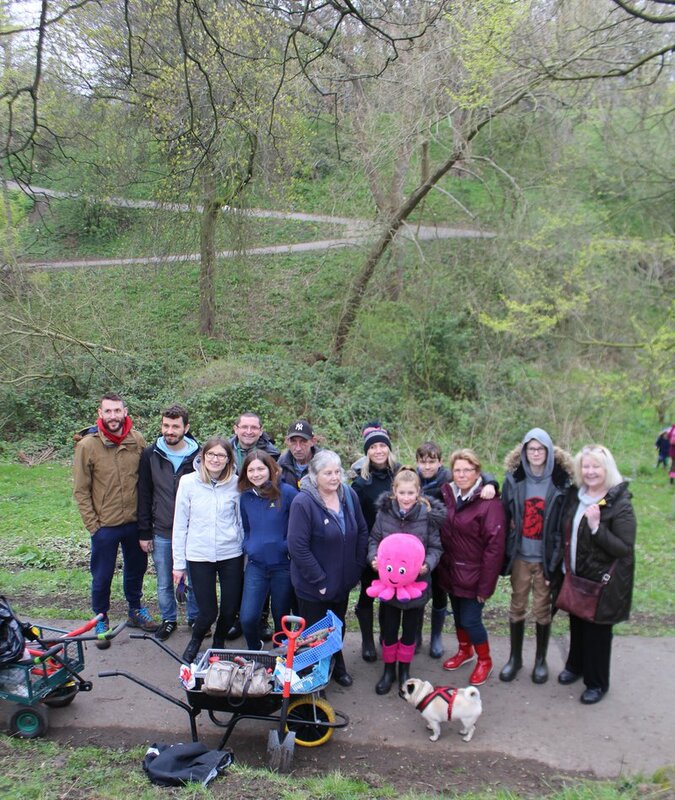 No, Friends of Backhouse (and Barley Mow) Park is a conservation group of volunteers headed up by the inspirational Mary Todner. It also happens to be quite possibly the best-prepared group of tree planters I – and more relevantly – Chris had ever seen. Backhouse Park is a wooded gorge that is a natural arboretum close to the city centre. A V-shaped valley with paths snaking around its sharp inclines, the land previously belonged to local worthies, the Quaker family Backhouse. Edward Backhouse (1808–1879) was a committed Liberal, philanthropist and writer. He was also one of the founders of local newspaper the Sunderland Echo. Being Quakers and by definition good eggs, the family gave the land to the city as a gift, to be preserved in perpetuity as a park. Sadly, in recent years, the land has been neglected, with tree planting a hit-and-miss affair. Backhouse Park now needs a good dose of love to get back to winning ways. We got things started with a 50 tree mini-woodland, full of native broadleaf saplings from willows to downy birches ideal for planting in wet soil. But with Mary and her team of committed volunteers on the case, I have no doubt that they will turn the place around. We saw such unbridled enthusiasm, even from Eric the pug who was guarding our wheelbarrow. 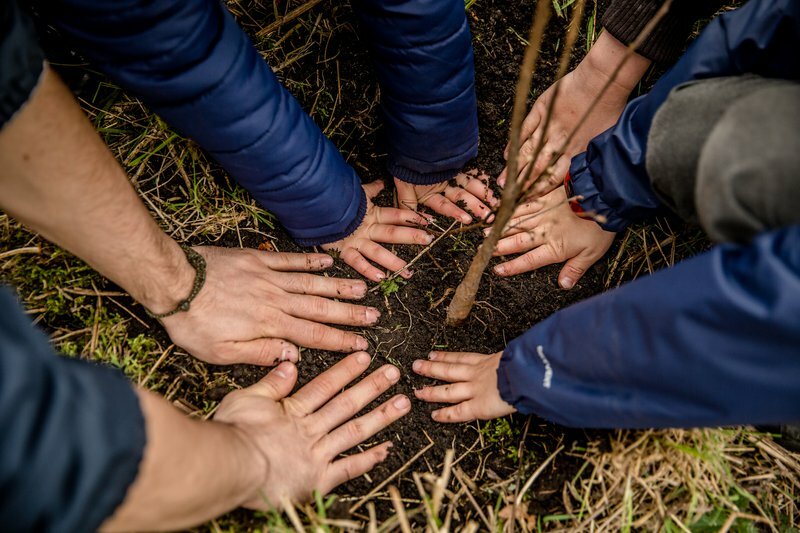 With over a dozen volunteers from the very young – “Can we come and watch it grow?” – to the more gnarled woodsmen, the social cohesion that exists when you are outside and getting your hands dirty with nature, is truly a great leveller that brings people together. After a slight magical mystery tour around Sunderland we found Jennie Franks and her wonderful reclamation project. This little slice of paradise-to-be-regained was born out of Jennie being offered a piece of wasteland, and Jennie has wrought miracles with it. Jennie, along with her gang, has made a stunning paradigm that uses urban garden, allotment and eco-space. And, crucially, the project uses the knowledge of local allotment members to teach budding young horticulturalists the way to go. So it was a delight to be able to put something back, just as the space itself does to the community. The Sunderland Echo arrived and snapped away at our volunteers for the day as we planted some fruit trees. Chris also dispensed wise advice on how best to screen the road with a hedgerow. The plot is right next to a busy road so the additional screening will really help reduce the noise and pollution. After we spent a good deal of time planting and talking to the volunteers, Jennie offered Chris and me a spot of lunch – a simply superb homemade veg chilli, which certainly warmed our cockles on what was turning out to be a nippy spring day in Sunderland. Just across the road from The James Cook University Hospital (the restless captain is associated with Witby, just down the coast, and more earth-shatteringly, my mum worked there 30 years ago) is St Thomas More RC School. We met Alison who created the SHINE programme with the school. It is aimed at helping children relate to nature through themselves. So if they want to feel strong, they plant an oak tree. If they want to express love, then they go for an apple tree. And when they want to conker their enemies, then a horse chestnut tree is just the ticket. The plan was to create, with our sensory trees (from the ‘singing’ to the nice-smelling to the pink-blossoming varieties), a little bit of a haven for the children to spend time in. They are super-fortunate in that they have a lovely bit of land in which to create this. And it was really impressive to see what they’ve been doing with the space already. Proper little gardeners. They have a great programme of growing and eating their own produce. Corn was an a-maize-ing hit last year. Terry, one of the school governors, along with the headteacher Jane Apolloni, showed us around their raised beds and polythene tunnel where the baby plants are being nursed. There are also chickens that are being looked after by one of the parents for a few days. Our tree-planting crew were members of the gardening club, and along with three volunteers, we made short shrift of the planting of their trees. 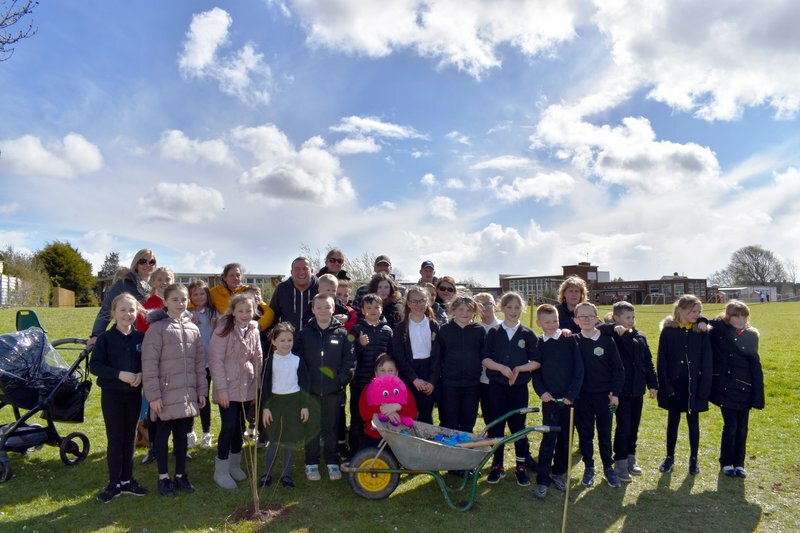 The visit was topped off nicely by BBC Tees sending one of their reporters down to speak to Chris, the school and Alison about how important it is to plant trees and why the work Octopus is doing is so important. Here’s how they covered our visit to the school – listen from 56:45 mins! In just seven hours, we visited three wholly different projects and met three passionate, dynamic women who are driving real positive change for their local communities. 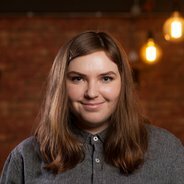 It’s a privilege for Octopus to be supporting their vision.